Grump Joes Place Blog just celebrated ten years. Somewhere in those ten years, probably around 2008 when we began the process of electing a socialist as our president, I posted my opinion that the USA is headed for civil war. Today, I received this piece titled This Civil War by Daniel Greenfield. In it Greenfield explains exactly why we are not headed for civil war but rather we are in a civil war. I actually posted Greenfield’s essay once before, but it rings so try that I want my readers to review it again. I agree with him that we are in a civil war fighting to save our country from a dictatorship. If we allow the dictatorship to happen we might as well use our guns to blow our heads off because the country won’t be worth living in anymore. While Obama was running for his first presidential term I predicted that there would be civil war fought in our country. The division that occurred between the left and the right without any middle ground seemed to be too huge to keep it from happening. The war has not happened, at least not a shooting war, but we are still divided even more so today than in 2008. The democrats had all the power; a leftist president, and Democrats were the majority in both houses. There was no stopping them. The unaffordable Care Act was approved by bull dozing through without any prior review by either house. We as citizens criticized our leaders for not reading the bill. The plain and simple fact was that they were not given an opportunity to read it. Had they the chance there would have been public outcry to stop the bill before it came to a vote. Currently, the Republicans have the power, and I fully expect them to squander the opportunity to do some real good for the country. How many of you remember Obama putting down John McCain by Obama for daring to present an argument against the ACA. Obama very arrogantly told him the elections have consequences and I won you lost. The democrats rallied around that audacity and steam rolled the country into believing their bill was the salvation of the country. After the ACA passed and it became obvious that it had major problems, Obama again arrogantly changed the law to his satisfaction without any notification of Congress, a violation of his authority and against the law. The Democrats totally supported him because he was the Messiah and the ACA was to magic cure-all bullet. This week, I heard Democrat Senator Chuck Schumer from New York cry that Republican Senators won’t compromise and allow the Democrats to ruin new efforts to make the bill into something that could work. What upset me was a lack of outrage by Republicans. I never heard any of them say that elections have consequences, and we won, you lost. I have this feeling that Republicans still think the Democrats are willing to compromise for the good of the country. They are not willing to do anything but to win for their corrupt party. It is sad that the press, and the Democrats get so worked up when President Trump fights back against some of the BS they throw at him. The Press truly get upset that anyone should treat them in this manner. What they don’t fully understand is that the civil war I have alluded to is taking place, and they are the enemy. They lament that they are only trying to do their job, they don’t deserve to be denigrated and on. They still don’t get that they are the problem, and when they spew there falsities as fact we the reader have no fact checker to check them with. To them I say, get over it, we won you lost. If the want us to treat them appropriately, they can begin by reporting fairly and honestly without bias to either side. Instead they choose to be on the side of the enemy. I say to you, keep plenty of fresh kleenex in your pockets to catch the alligator tears you will shed when recoil against you when you spew lies at us. Another point that has me upset is that there are factions within the Republican party that fight against their own people. The Congress resembles the war in Syria; Syrians against Syrians, rebels against Syrians, ISIS against everybody, the USA against ISIS, and the Russians against the rebels. Mark my word, there will soon be a video game depicting this scenario. I hope the developer sends a free copy to every member of the Senate so they can learn from it. What a mess. This is a really good essay on the current deadlock in our government and a very logical reason for it. I love the internet! My friends send me stuff all day long. It saves me endless hours of surfing on my own. I just open my e-mail and there it is. Most of the time we trade jokes, cartoons, and letters of rage. Today, I received a copy of a letter that has been circulating for a few months. The letter to President Obama is written by a veteran of World War Two . He is ninety-five years old, and is he upset. Harold is upset about the change that is going on.The sender verified it on Snopes, but having been duped into believing too many erroneous articles, I checked it out on Snopes myself. The letter is correctly attributed to Harold Estes.Please read this patriot’s letter and comment on his point of view. Dear President Obama, My name is Harold Estes, approaching 95 on December 13 of this year. 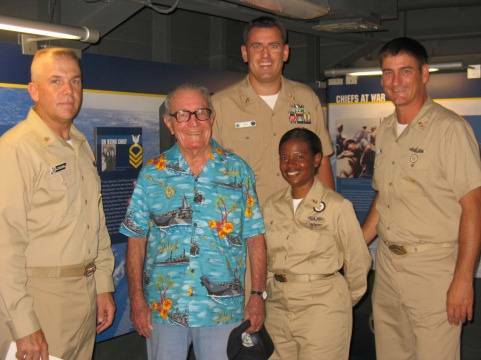 People meeting me for the first time don’t believe my age because I remain wrinkle free and pretty much mentally alert.I enlisted in the U.S. Navy in 1934 and served proudly before, during and after WW II retiring as a Master Chief Bos’n Mate. Now I live in a “rest home” located on the western end of Pearl Harbor , allowing me to keep alive the memories of 23 years of service to my country.One of the benefits of my age, perhaps the only one, is to speak my mind, blunt and direct even to the head man.So here goes. I got to thinking about those trillions the government is throwing at earmark projects called stimulus. I asked myself how many people could a trillion dollars really help? I looked at three items that people spend money on: house, car, and college education. 1. How many $200,000.00 houses can one buy for a trillion? A two hundred thousand dollar house is probably affordable for most of the population. 2. How many cars valued at $25,000.00 each? Not a Lexus or Cadillac, but a Ford Focus will get you to where you need to go. 3. How many students could spend $40,000.00 on college tuition? This one assumes you spend three hundred dollars per credit hour and you require one hundred and thirty credits to get a degree, and live with your parents. ans: Twenty five million five hundred thousand. A trillion dollars given away in this fashion would most likely stimulate the economy. Instead we will direct the money through a filter called “government.” The end result will be that only a third will get to the consumer. The remainder will be lost in management fees. In big government management fees are more commonly referred to as GRAFT. What BHO failed to tell the people of the USA is that his redistribution of wealth will make everyone in the country a slave. By robbing the rich to give to the poor, the result will make everyone poor. The direction of the country toward “Change You Can Believe In,” will bankrupt the treasury. The end result is that the greatest country in the history of the earth will become a slave to the countries who buy our debt. Barack likes to compare himself to Abraham Lincoln. While Lincoln freed a small number of the population who were slaves, Barack will enslave the entire country. How will that happen? We will borrow the money from China or other countries. In order for them to loan us the money, we will have to make it worth their while. We will have to pay higher interest. Higher interest will mean that the government has less money to pay for the programs that they have legislated into law. In other words if it takes a trillion dollars to run the country, we’ll now have to add the interest to that. Where will the government get the extra money? They have two ways: 1. Pass the expense to the tax payer by increasing his contribution. 2. Print more money to cover the bill. This means that your money is worth less than it was before. I already have trouble making ends meet on my fixed income. In case you have a problem reading all those zeros, they are billions. Mark my words, this country is headed for another civil war with the rampant spending under this president. Isn’t civil war another issue that Lincoln had to deal with?